Break For LOVE! 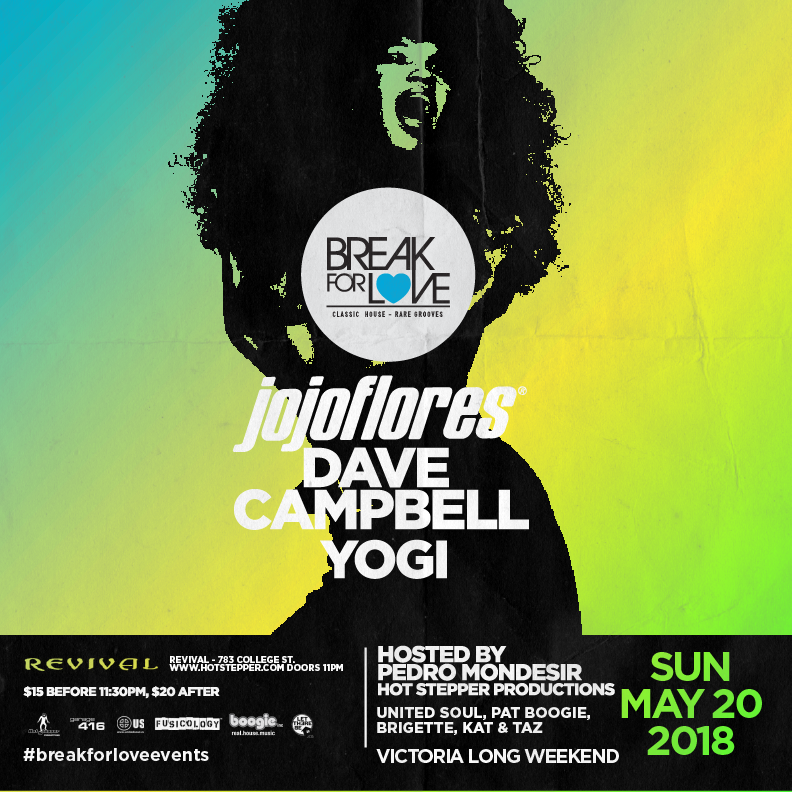 enters Revival for the first time on Victoria Day Long Weekend Sunday May 20th. Revival has a newly updated sound system and we can't wait drop the biggest dancefloor classics on it! Break For LOVE! parties are always big and the music & vibe are always on-point...don't sleep on our May 20th edition! DAVE CAMPBELL | What It Is!